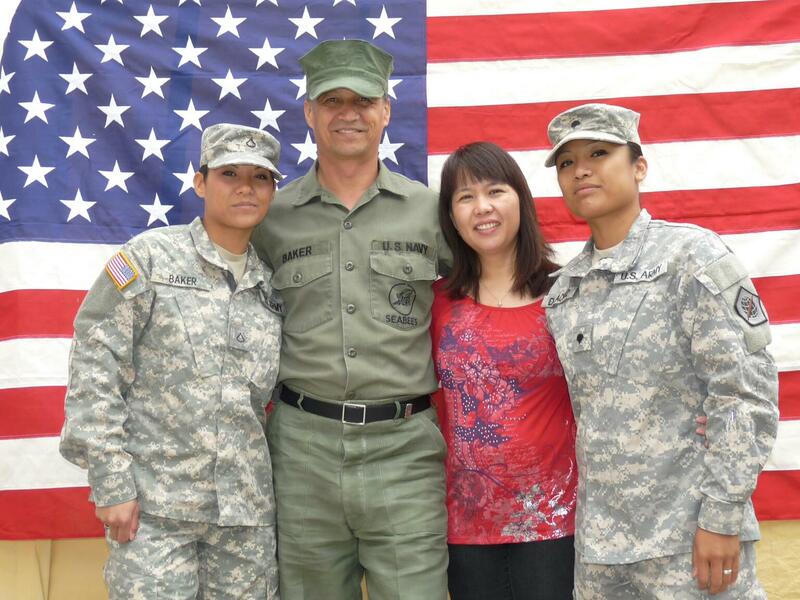 It’s been 28 years since I was discharged from the military and now I live my military life vicariously though the deeds and eyes of my children; Rich, Jessica, and, Jasmine. There are no words that I can express vocally or though pen to paper that can express how proud I am of them for putting their lives on pause to serve our country. I’m even prouder knowing that they enlisted not for the money, not for the educational benefits, not because they needed a job; but because of their love for country, sense of obligation and family tradition. It is a true American patriot who enlists in a time of war and gives up the marketing career that took years to build and paid more money than she would make in 3 years as an enlisted man as my daughter Jess did. My children are in the 2% of Americans that join and serve, and in the .3% of those who join for nothing more than to serve. Our family comes from a long line of service men/women and are proud to be called American’s.